Home » Celebrities » 2018 Beach Bash Music Fest to be Held at Harpoon Harry's! 2018 Beach Bash Music Fest to be Held at Harpoon Harry's! The Beach Bash Music Fest is arguably the biggest and best daytime event on Spring Break. Past venues have been Spinnaker Beach Club, Sharky’s Beach Club, and in 2018, Harpoon Harry’s will join the list of famous venues. 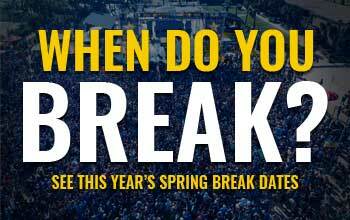 Featuring the largest stage on the beach, the Beach Bash is an all-day concert event held weekly during the three middle weeks of Spring Break in March. Previous performers have included Florida Georgia Line, Cole Swindell, Steve Aoki, Diplo, Kaskade and Brett Eldredge. Artist announcements for 2018 will be announced soon. The Beach Bash Music Fest also includes free beverages, there’s a VIP area for upgraded VIP ticket holders, and entry is free if you have a Panamaniac VIP Club Card. The dates for 2018’s events are March 7th 14th and 21st .